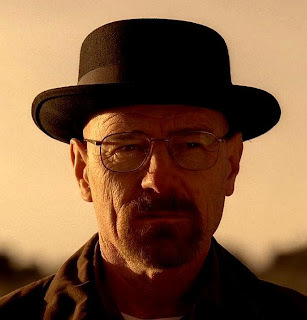 One Eternal Day: "The crooked timber of humanity"
In the case of Breaking Bad, we see all the rationalizations as well as all the irrationality that bring Walt to make bad decisions. And we see those decisions becoming worse and worse with bigger and bigger consequences. Long before one gets into the partisan or ideological precepts and dogmas, there is at the irreducible core of conservatism the idea that human nature is what it is. Nation-states, technologies, cultures, even religions come and go, but what remains is humanity. Breaking Bad is one of the great novels of our age because it grapples with the crooked timber of humanity as it is, and painfully demonstrates that, once you choose to break out of the cage of civilization, you are not so much free as lost. The first four seasons are available on Netflix.